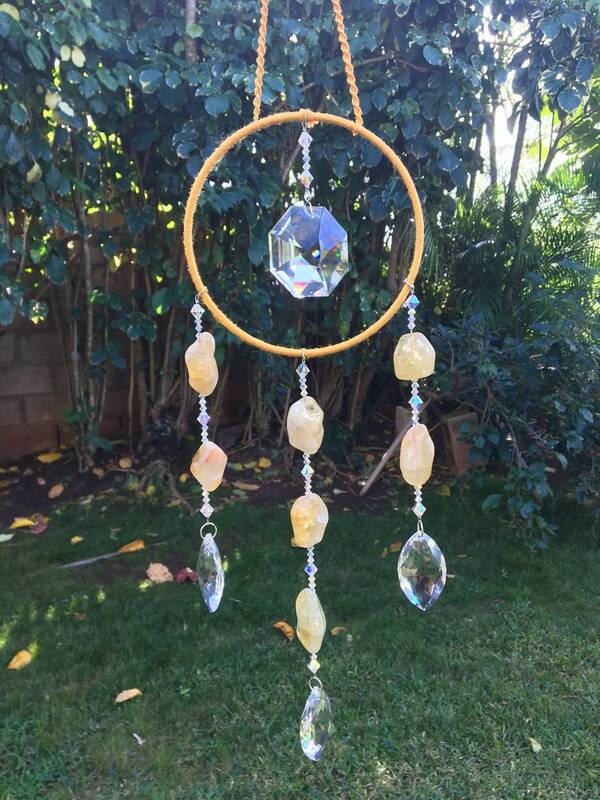 Custom order a Swarovski Sun Catcher Mobile! 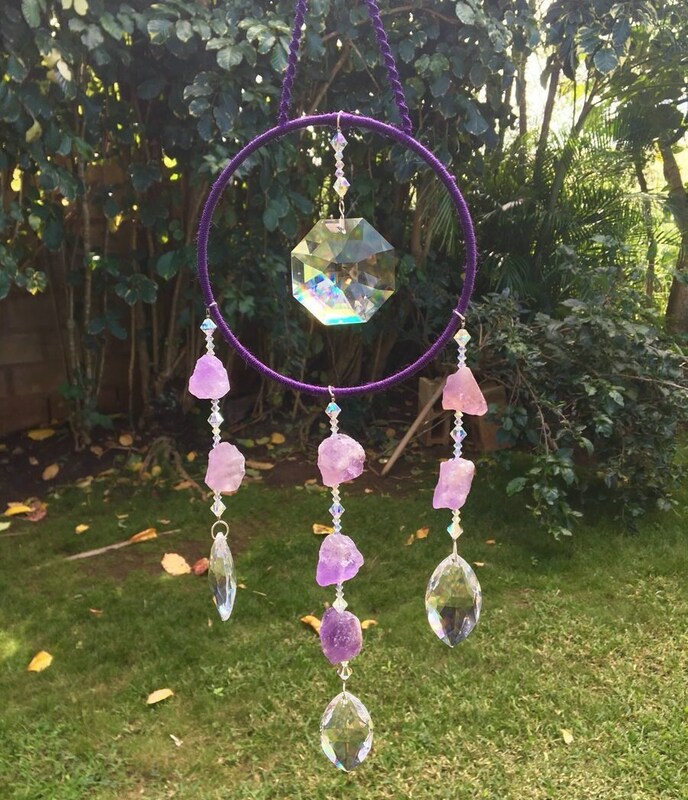 Virtually any color of hemp can be used, and misc crystals/charms can be added. 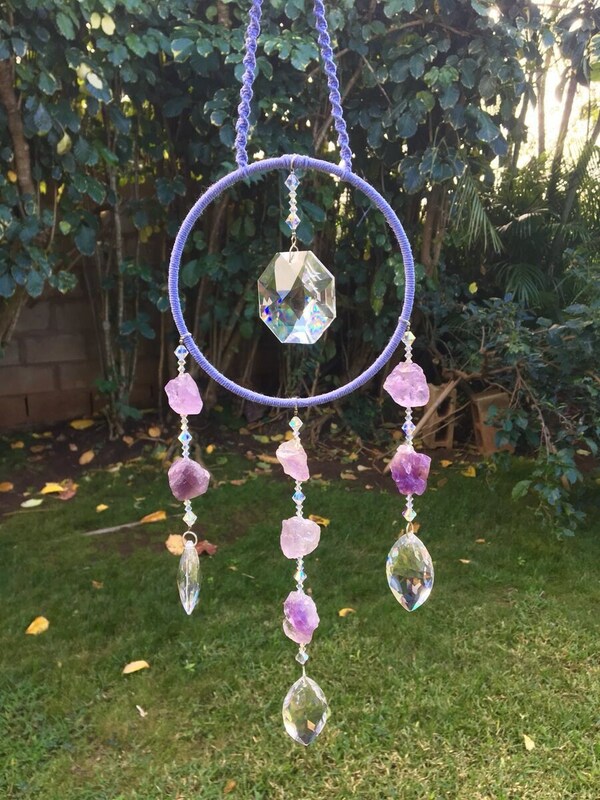 We will work with you to create your perfect Sun Catcher! Please allow 2-3 weeks for supplies to arrive, as well as 3-5 days to complete custom piece. Prices vary somewhat, and purchasing acts as deposit on your item. Shoot us a message with any questions or to price your piece! Paypal/debit/credit accept at time of payment. All Items will be shipped via the USPS. Prices vary on item and country shipping to. Items that are pre-made will be shipped out within 2 days of receiving payment. Pre-order crystal mobiles can take 14-16 days to ship after purchase. If you are not satisified with your purchase you have one week to contact the seller through email. Please include which item you purchased, and why you are not satisfied. I am willing to do exchanges or fix whatever is wrong with your purchase.